Showing results by narrator "Kelly McNelis"
There is no magic pill. There is no one-size-fits-all solution to your problems. There is no guru coming to save you. The remarkable truth you are about to discover - one that you already know deep down in your bones - is that the idea of perfection can't bring you the joy, passion, and purpose you are craving. 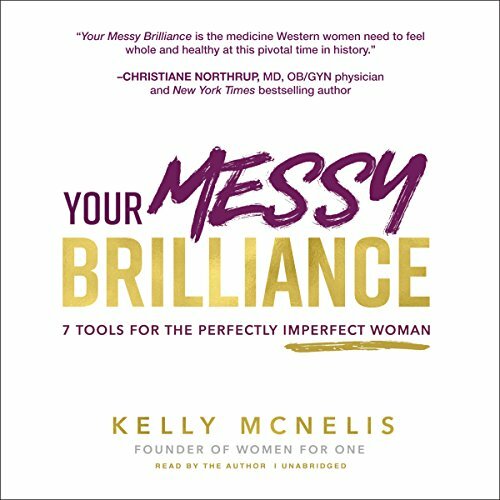 What you are looking for, as author and Women for One founder Kelly McNelis will show you, is your messy truth. It's the part of you that's perfectly imperfect and that contains your wholeness: the good, the bad, and the ugly.